Nepal has one of the most active open mapping communities in the developing countries. There is a huge potential to engage digital volunteers and map unmapped parts of the world (Goodchild, 2007). Citizens can contribute their local knowledge to open mapping platforms using the Global Positioning System (GPS) capability of their mobile devices and the Internet. Citizens do have a wide range of intrinsic and extrinsic motivations to participate in open mapping, yet despite such potential, our scientific understanding on how to recruit, engage, and retain citizens in open mapping remains poorly understood, especially in the context of developing nations. Online maps have been identified as “next utility” (National Research Council, 2010). Use of online digital maps by citizens and organizations has been increasing all over the world for daily navigation, adding value to products and services, and humanitarian causes such as crisis response. Access to, and management of critical spatial knowledge is critical to sustainable and inclusive urban development (Pfeffer et al., 2015). However, Nepal’s national and local governments seem poorly placed to access and manage critical spatial knowledge required for planning, considering Nepal’s last nationwide land survey was carried out between 1991-2002. Nepal’s National Spatial Data Infrastructure has also not been completely established and functioning as of 2017. Open mapping infrastructure, based on OpenStreetMap data that is free to use and modify when needed, can help government agencies to access and use critical georeferenced information for planning and other activities. Available research literature is not enough to answer if and how open mapping infrastructure can be used in local sustainable development goals. The study will employ action research methodology, as this makes it possible to expand mapping work alongside research activities. Several mapping workshops will be organized in two cities in Nepal during the project period. 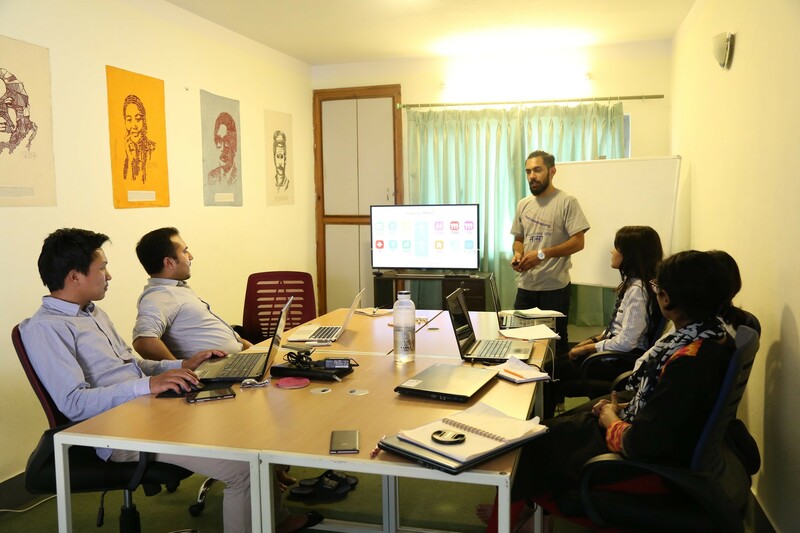 In addition to creating maps, the research team will also train a wide range of potential users and develop their skills to use open map data effectively. The research should open avenues for the young local technology community to develop public participation software applications using open map data, catalyzing a new market. The research will also engage Nepal in the emergent areas of open government and open mapping, which are cutting edge in the United States and other advanced countries. This will prepare Nepal to garner full benefit from the inevitable arrival of these concepts. Courses on open mapping to different audiences have been conceptualized and developed. KLL has also conducted a computational analysis to understand citizens mapping pattern; continued to review literature; developed a solid partnership with few newly formed local governments as cases to expand our research. Open Mapping short courses and workshops to school and university students with different background, e.g. business studies, urban planning, crisis management has taken place. Open Mapping and Civic Learning course to high school students from Kasthamandap Vidhyalaya took place in the month of April (5-24), 2017. The course taught students on how to use Open Mapping as a tool to learn and act on problems in their local communities. In addition to mapping, the course intended to develop students' sense of responsibilities as active citizens. We also developed a short course on Community Asset Mapping and ran it with the undergraduate students of King's College in May, 2017. Students learnt how Open Mapping can be used as a lens to study rural business and economy. 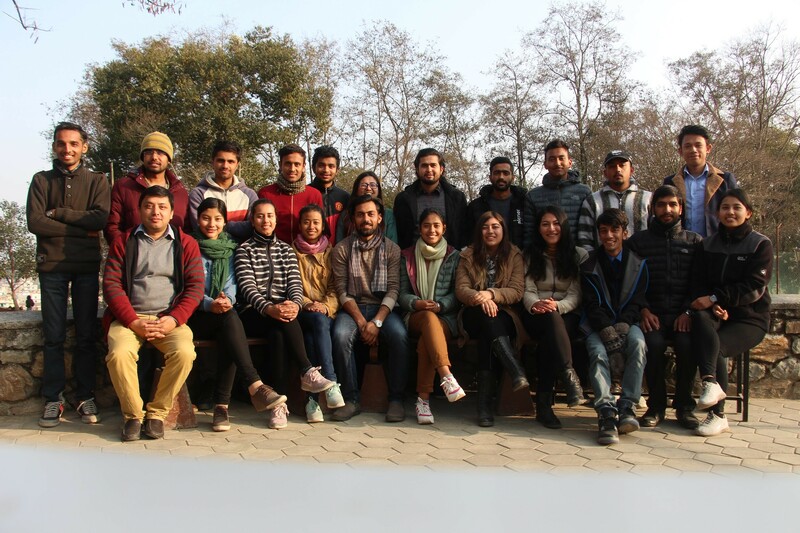 Students were trained on Open Mapping hands-on skills for four days and then sent to a rural setting in central Nepal to map different assets in the rural community. The students have presented and reported their understandings of the rural economy. The first batch of Digital Internship program has been conceptualized, designed and implemented. 10 Digital Interns were selected after an open online application form and telephone interview. Interns were selected based on their motivation to participate in the program and background, forming an eclectic mix of participants representing different academic backgrounds, age groups and career interests. A 1:1 gender balance in final selection was maintained. The internship lasted for a period of 3 months and their experience was shared at the State of the Map Asia 2017 conference. 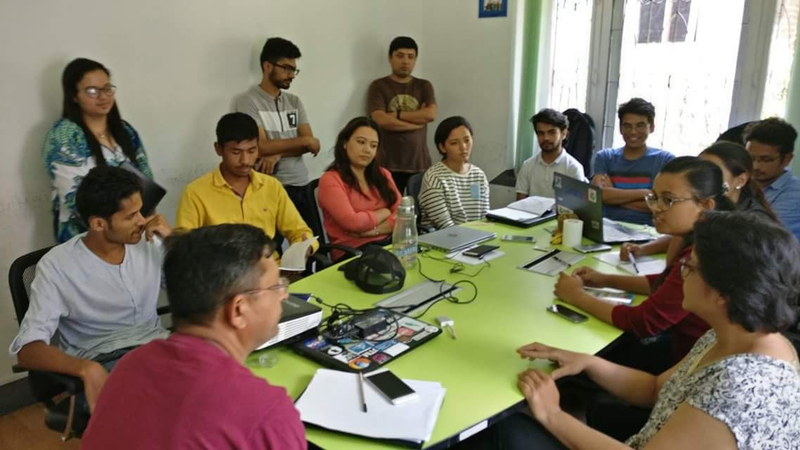 During the course of the project a computational analysis of contribution inequality of OSM mappers in Nepal has been conducted. The brief study revealed extreme inequality in contributions. Single most active user contributed to more than 10% of OSM contributions among the active change sets in Nepal. There is a long tail of contribution, meaning most people make small contribution while majority of contributions come from small number of mappers. We also continue to review literature relevant areas e.g. open data for development, open mapping as GIS application for development, Sustainable Development Goals, theories on planning, Nepal’s commitment and progress in Sustainable Development Goals, Volunteered Geographic Information and more. We used the review to inform their research questions and overall research design. We have started action research at Nilkantha Municipality, which is outside Kathmandu Valley as a site for case study for understanding how open mapping contributes to sustainable development at local level. We have sensitized more than a hundred young people about open mapping and trained more than 40 young people on open mapping skills. We have also built partnership with more than 10 organizations which includes local government, academic institutions, non-profits, and private companies. We have made some progress in understanding ways to engage young people to contribute in creating maps that will be useful for local development. Our understanding of the effectiveness of different ways to engage youth in mapping has increased. Programs like Digital Internship designed for longer terms and linked to meaningful causes show signs of being more effective to engage youth in volunteering geographic information. Knowledge about engaging youth in contributing to societal needs might be applicable to other areas of development as well. We also have an increased understanding of the geo-referenced data needs based on priorities of local government in Nepal through the Focused Group Discussion we have conducted as well as other interactions. This will help us to understand the requirements for open mapping infrastructure to achieve the sustainable development goals at local level. By the end of this project, we intend to develop a framework for youth engagement in Volunteered Geographic Information based on our action research investigations in Digital Internship program as well as sensitization and training events. The framework will be useful in designing programs to engage youth in digital development. We will also have trained, sensitized, and engaged hundreds of young people in open mapping skills by the end of this people. Our understanding of if, how, and under what conditions can open mapping infrastructure contribute to sustainable development at local level will be broadened. The knowledge gained can be useful in achieving and measuring the Sustainable Development Goals at local level.